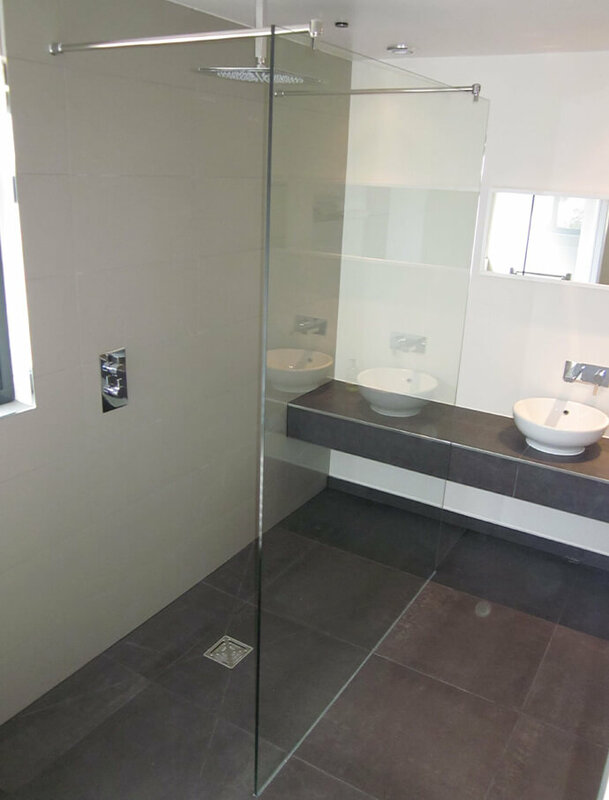 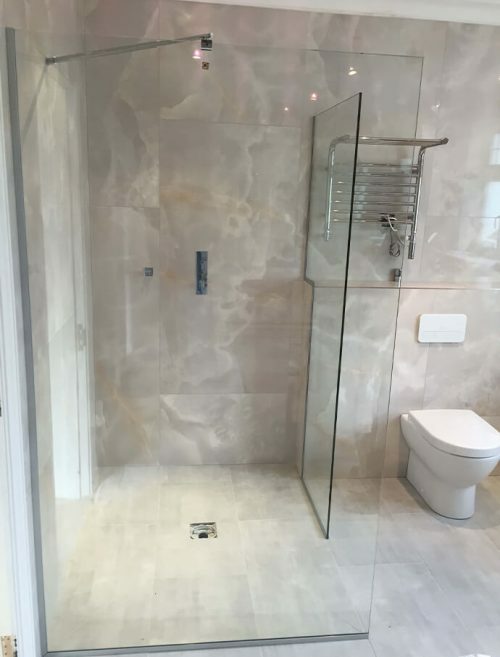 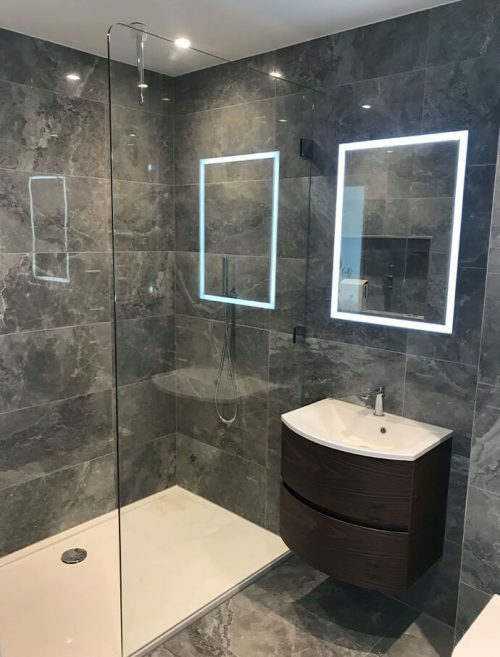 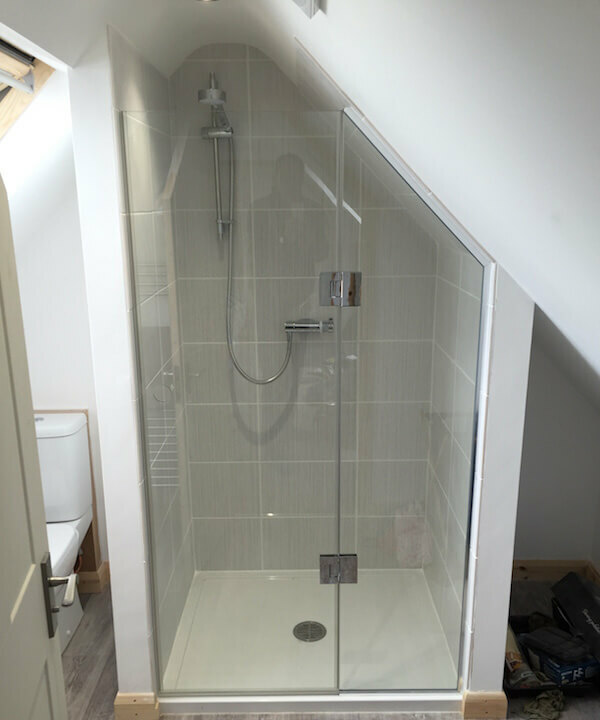 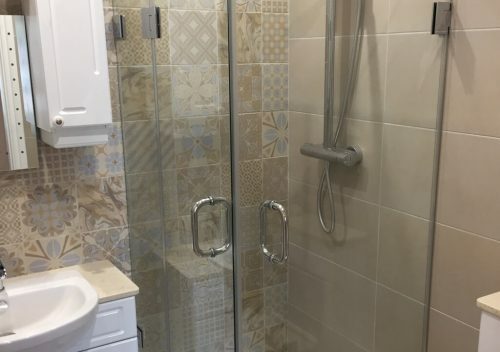 As local specialists of bathroom glass products across Surrey and West London, glass is an incredibly versatile material that has stood the test of time with regards to interior design trends. 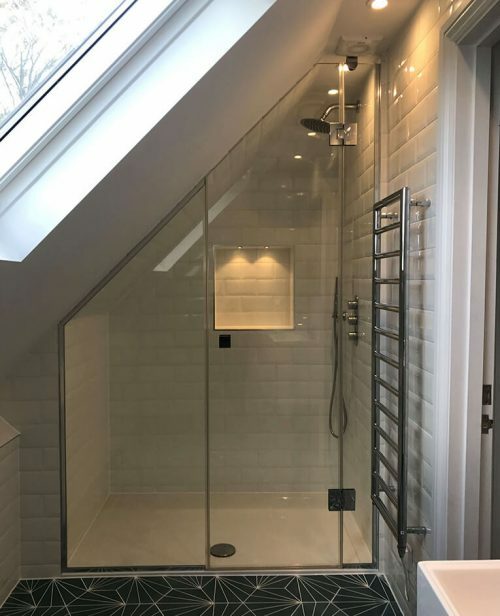 Bathrooms in particular benefit from the translucent sense of space it creates, alongside its practical easy-clean qualities and smooth, functional lines. 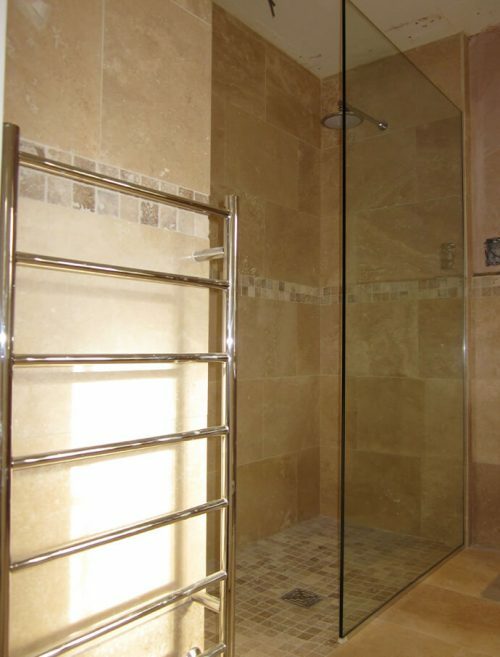 It also brings an element of timelessness, that only toughened high-quality polished glass from P&P Glass can provide. From traditional and elegant to contemporary and frameless, whatever style of glass bathroom screen you’re looking for we’re sure we can accommodate your needs to create the most relaxing bathtub experience possible. 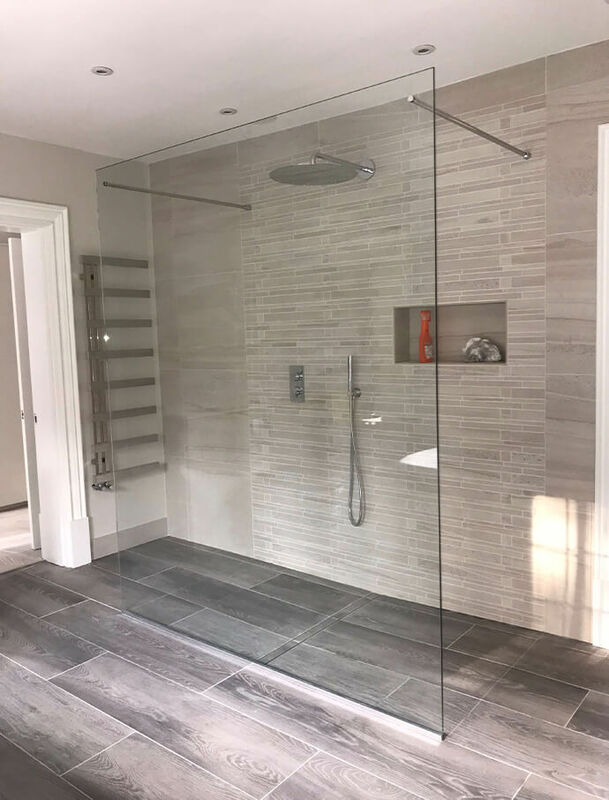 This includes a range of frosted and etched glass options for enhanced privacy, as well as a range of stainless steel, chrome and many more stylish finishes to choose from to provide hinged or sliding openings. 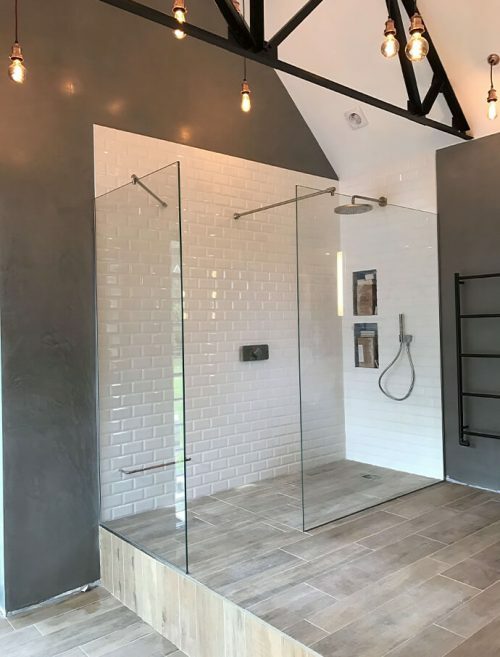 In today’s modern world, it’s not surprising that around 70% of Brits prefer the speed and efficiency of a shower over having a bath. 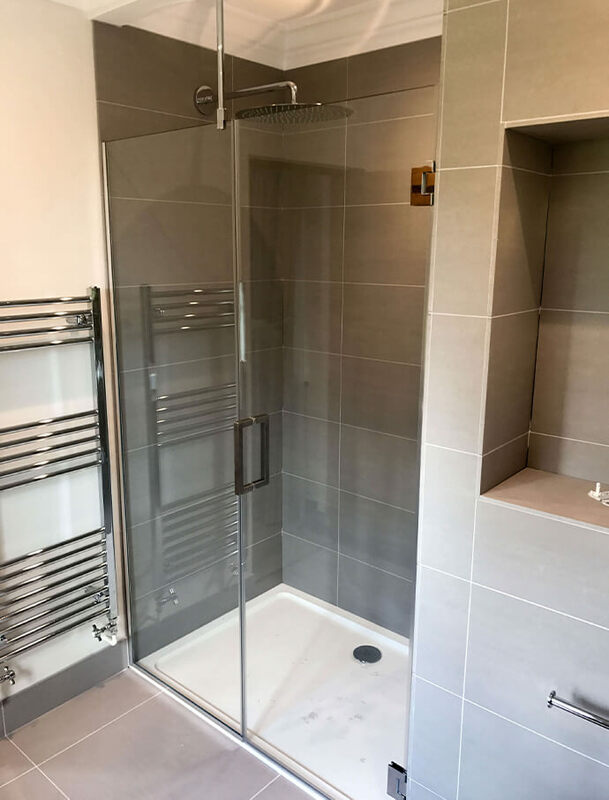 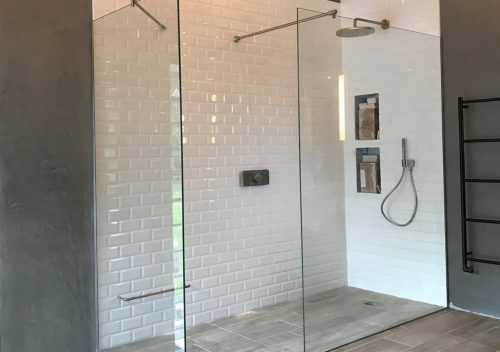 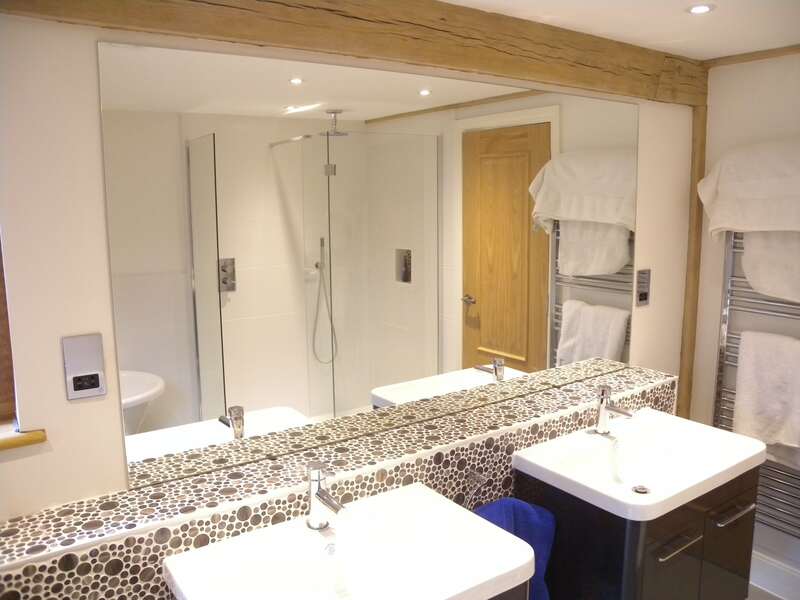 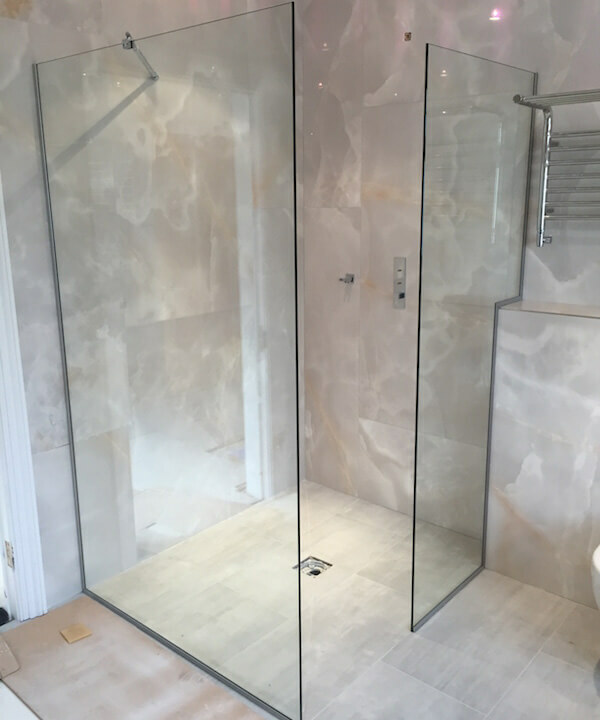 Not forgetting the environmental issues, at P&P Glass we manufacture bespoke shower enclosures and shower screens that can be completely tailored to your particular taste and lifestyle. 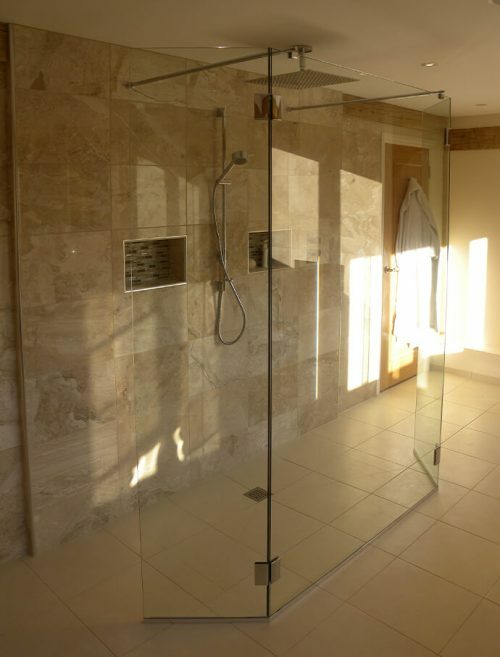 As well as a wide range of fixtures and fittings to choose from, not only can we offer frosted and etched glass, but we can also provide specialist coloured glass for heightened privacy and comfort. 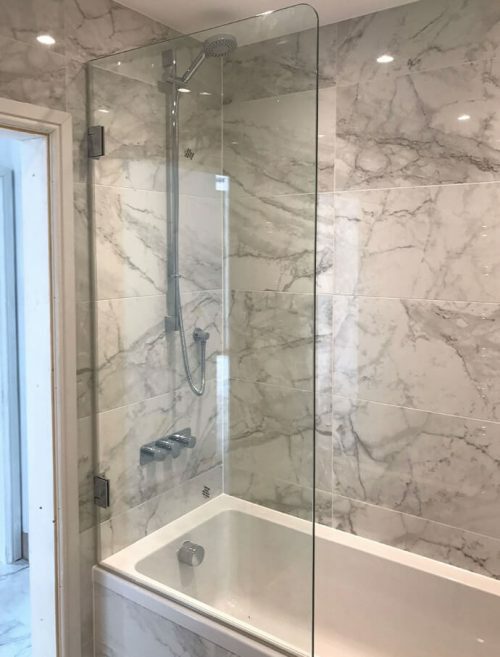 Glass splashbacks in bathrooms are becoming increasingly popular with Guildford, Wimbledon and Esher homeowners, looking for unique protective coverings to shield their walls from unsightly water damage. Simply needing a quick wipe over to retain their original splendour, the big difference between ceramic splashbacks and glass splashbacks is that glass splashbacks are non-porous and therefore do not harbour bacteria; ideal for a bathroom space. 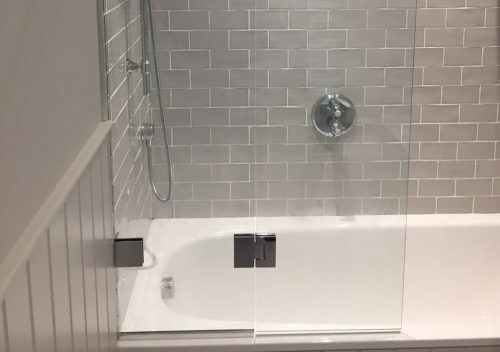 You may not be thinking about selling your West London home now, but it could be a possibility in the future that you shouldn’t discount. 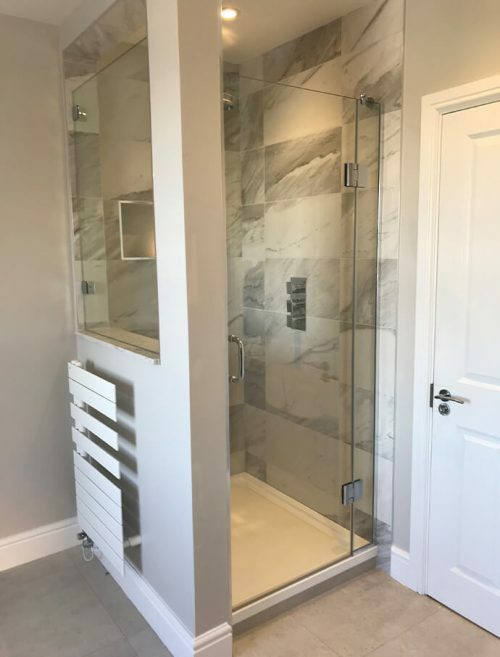 By enhancing your homes aesthetics with bespoke bathroom screens, shower screens and/or splashbacks, you’re sure to add the ‘wow-factor’ whilst potentially adding notable value to the price of your home too. Have a browse through our product gallery below to gain valuable inspiration for your very own bathroom glass project.